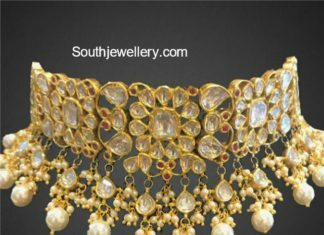 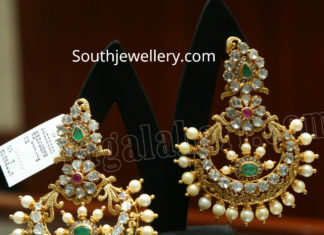 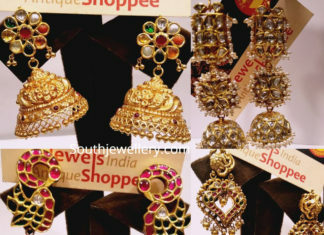 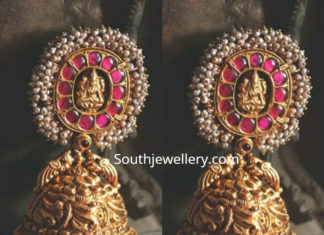 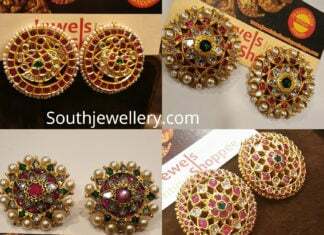 22 Carat gold chandbalis studded with polki diamonds, rubies, emeralds and south sea pearls by Malabar Gold and Diamonds. 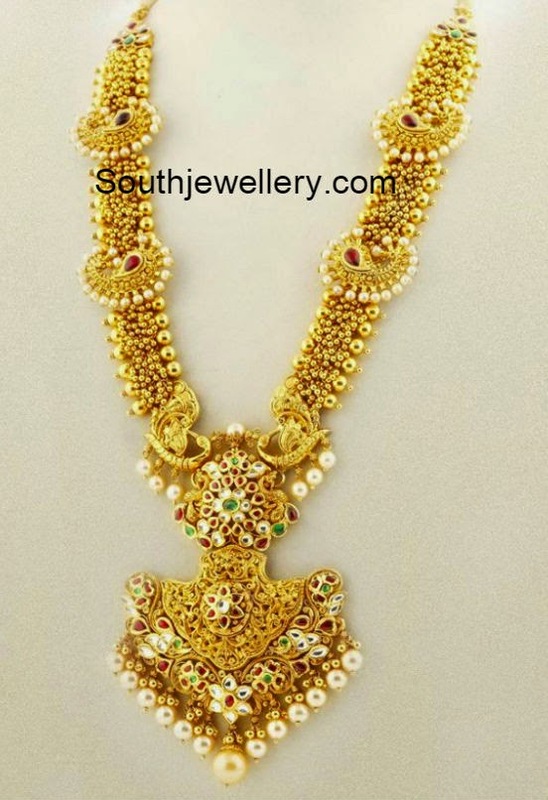 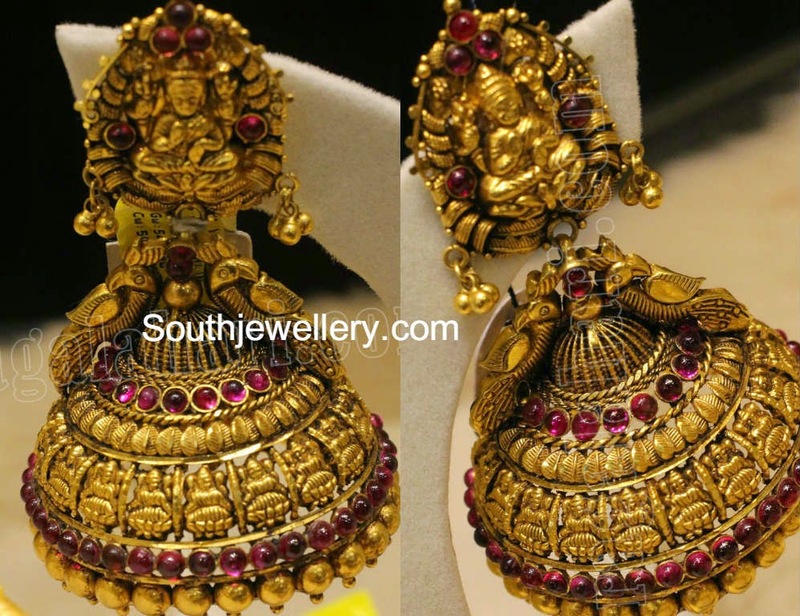 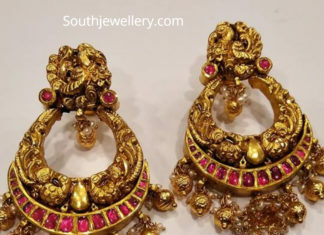 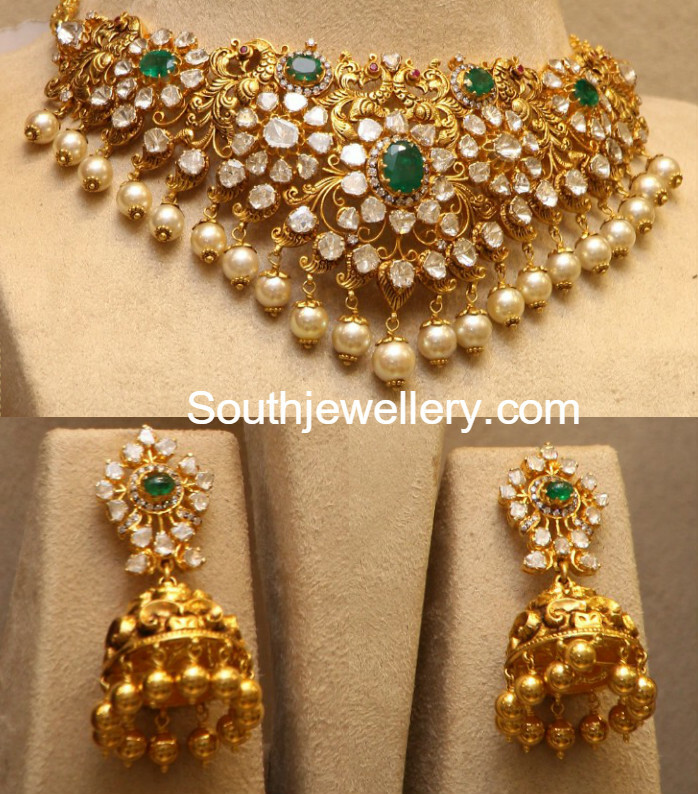 22 Carat gold antique nakshi necklace paired with matching jhumkas, kadas and rings by GRT Jewellers. 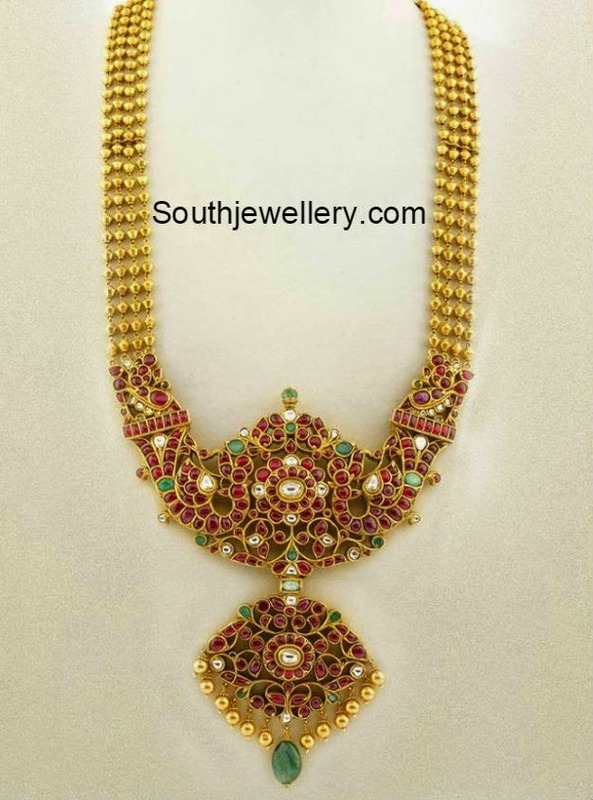 22 carat gold choker studded with polki diamonds and rubies by Omprakash jewellers and Pearls.